Transvaginal Female Pelvic Scans in London. Transvaginal Pelvic Ultrasound Scan personalised by your regular NHS Senior Clinical Ultrasonographers scanning Privately on Sundays/ Evenings! A full Consultation with your Ultrasonographer is included in the below price. We will give you a report of your findings, but the images will only be sent to your NHS GP or Medical Clinic (with your consent). This Women only ultrasound is normally done internally (transvaginal) to more accurately evaluate your ovaries and uterus. If you wish, it may be done transabdominally, but we cannot guarantee the quality of the images. This may be done to assess your fertility or to look for polycystic ovaries. It may be used to look for causes of lower abdominal pain such as ovarian cysts, fibroids, endometriosis and pelvic inflammatory disease. It may be performed to look for causes of irregular bleeding, including endometrial polyps and endometrial carcinoma (especially if you have vaginal bleeding at least 1 year after your menopause). Having graduated in 1998 from Damascus university, I earned a degree in medical sciences. I subsequently pursed my career in the United Kingdom and in 2004 was awarded my MSc. in Medical Ultrasound and the Diploma of Medical Ultrasound from Imperial College University London. 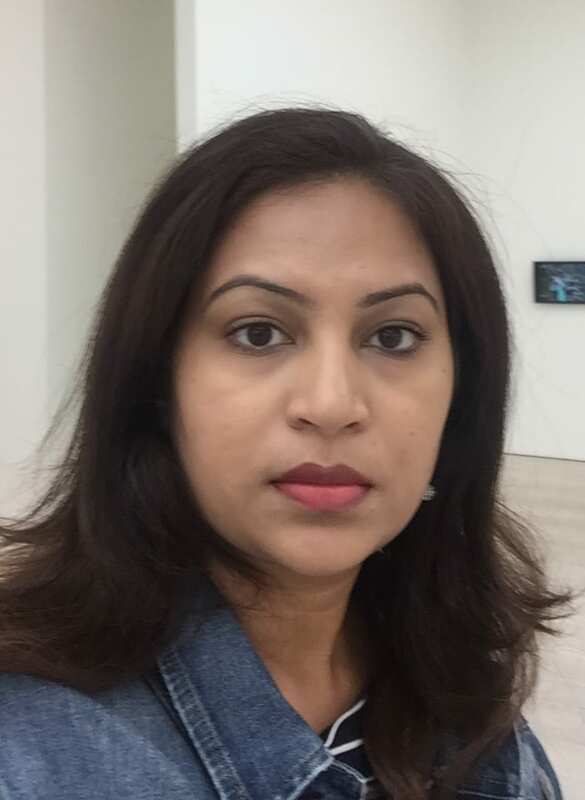 In 2008, when I was pregnant with my younger son, I decided to expand my knowledge in medical ultrasound by enrolling in a PgC course and obtained my qualification with a merit from King’s College, London. 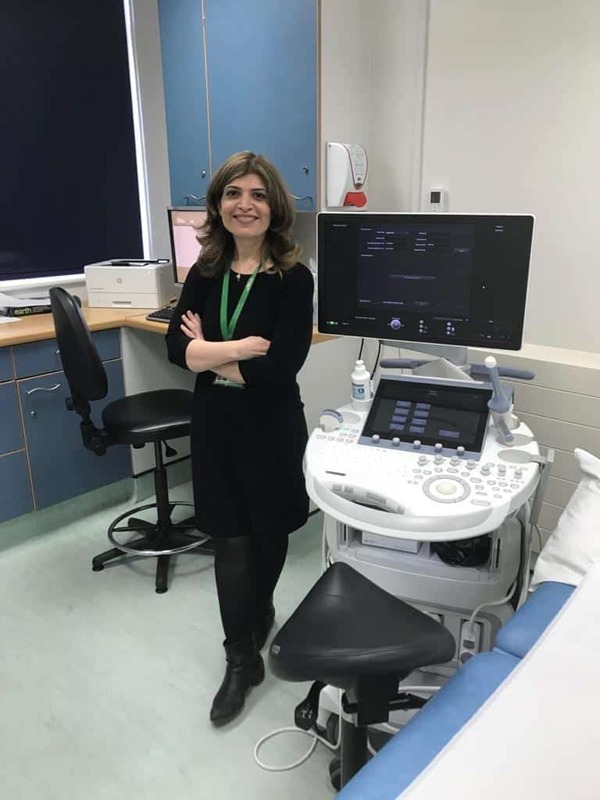 I am a member of the British Medical Ultrasound Society, hold a basic accreditation from the Society of Vascular Technology of Great Britain and Ireland and NT accreditation from the Fetal Medicine Foundation. 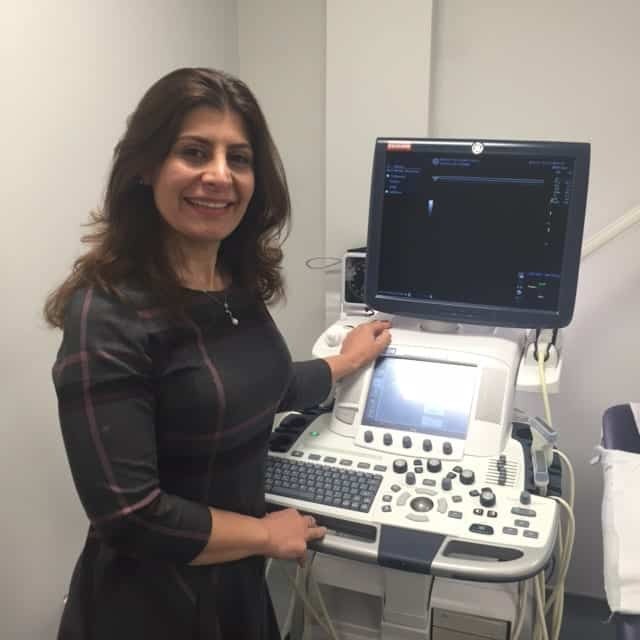 I have over 11 years experience in both NHS and private hospitals and have been appointed as a Senior clinical ultrasound specialist at Kingston hospital NHS Trust in 2012 (Band 8 Sonographer). As well as enjoying every aspect of my professional life, I also enjoy my volunteer work for a charity that supports orphans in my home country of Iraq. Sunday Morning, Monday evening, Friday morning/ afternoon. Having always wanted to pursue my calling, I graduated in 2003 from Tehran University in midwifery. Having more than 8 years experiences in the field of midwifery, I enjoyed every aspect of it. I have completed my first postgraduate degree in 2011 in Reproductive science and women’s health from University College of London (UCL). It was an amazing opportunity for me to gain experience in a very high standard IVF unit. In 2014 I attained my PgD in the Obstetrics and Gynaecology Ultrasound from Cardiff University. I work in both the NHS and the private sectors and have a strong passion to my work and patient care. My accomplishments include being appointed as a senior clinical ultrasound specialist at Kingston hospital NHS Trust (Band 8 Sonographer). I am a member of the Society of Radiographers and hold NT accreditation from the Fetal Medicine Foundation. I finished my Bachelor of Science Degree in Diagnostic Medical Ultrasound in 2003 from the Rochester Institute of Technology, New York. I worked in the US for a few years before moving to London and have worked at two busy NHS departments and private clinics since then. My main areas of interests have been Obstetrics and Gynaecology, but I wanted to specialise in Reproductive medicine ultrasound. I followed my passion and in 2008, I completed a MSc in Prenatal Genetics and Fetal Medicine from University College of London. After this I worked in a busy IVF unit, which was both challenging and rewarding. I enjoyed being part of some of their research projects and also as a fertility ultrasound trainer. I really enjoy working as a Sonographer, helping women through their journey of motherhood, and some through their difficult journey of fertility. I hope to get involved in more research work and be an active contributor to the field of obstetrics, gynaecology and reproductive medicine.